This data contains a set of geodetic control stations maintained by the National Geodetic Survey. 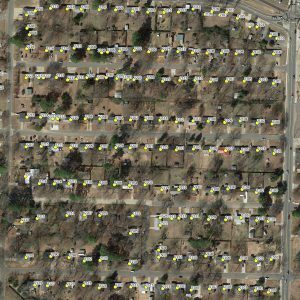 Each geodetic control station in this dataset has either a precise Latitude/Longitude used for horizontal control or a precise Orthometric Height used for vertical control, or both. The National Geodetic Survey (NGS) serves as the Nation’s depository for geodetic data. The NGS distributes geodetic data worldwide to a variety of users. These geodetic data include the final results of geodetic surveys, software programs to format, compute, verify, and adjust original survey observations or to convert values from one geodetic datum to another, and publications that describe how to obtain and use Geodetic Data products and services.